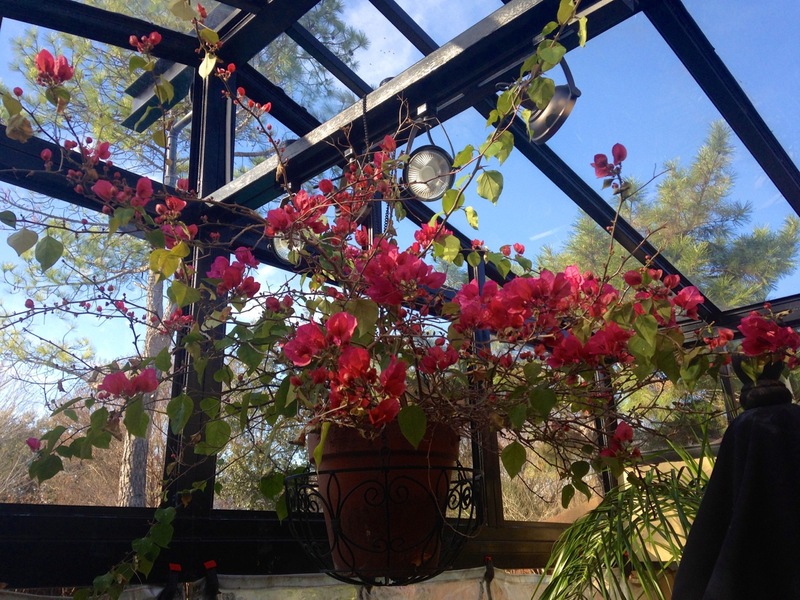 This beautiful Saturday morning I enjoyed our flowering bougainvillea hanging from the ceiling of our conservatory. According to Wikipedia this plant is native to South America. Bougainvilleas cannot survive North Texas winters, you have to bring them inside, but they are beautiful all year long in Scottsdale where my brother lives. I have found that bougainvilleas do better if you keep the soil drier and feed them bougainvillea food at least once a month. We have had the plant pictured below for three years and it blooms all summer long. This was a lovely reminder that Spring is right around the corner for North Texas ! Can't wait !